Gangthelabel a.k.a Belgium’s Finest is one of the most promising independent up and coming Hip Hop collectives to be putting on for Europe. 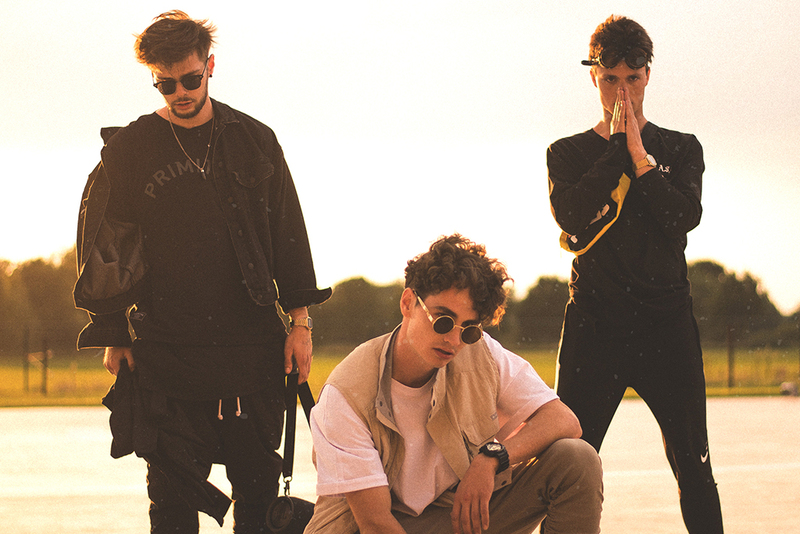 Members Dries “Pretty Boy Dro” Ovemeire (22), Aswin “95 Kuston” Van de Cotte (23) & Dennis “Syzzurp” Pimenta (24) fell in love with the genre ever since they were kids and started off their carreers by uploading selfmade songs and videos to YouTube. Years later, Gangthelabel gathered an impressive record of achievements, with radio airplay on MNM, Q-Music, Studio Brussel, FunX, … and performances at Pukkelpop, Laundry Day and Lokerse Feesten. Last summer, they performed at their first international festival, Splash! Festival in Germany, sharing the line-up with the likes of Post Malone, Rae Sremmurd & Gucci Mane. Besides that, they also did opening acts for Travis $cott, Big Sean, Chance The Rapper & Kid Ink in Belgium. Their energetic live shows & top notch music videos are full of swag and positive vibes. With over 2 million total views on their YouTube-channel and over 1 million streams on their independent 2016 debut project, the future is looking bright for Gangthelabel. In August and October they released Volume 1 and Volume 2 of their 3PACK series, already reaching over 100.000 streams on Spotify alone. With the support of their dedicated fanbase, Gangthelabel is determined to take things to the next level in 2019. More music, more videos, more collabs, … Join the wave right now! Gangthelabel can be booked exclusively at Epic Times Agency. Contact us for a non-binding inquiry or booking!